Country Jam is a huge musical celebration that takes place just west of Grand Junction Colorado in June. Celebrate all things Country Jam – enjoy the talents of the foremost country musicians topping the charts. Stroll the grounds and take in fun food, beverages, and browse gift vendors. Most of all, just have a wonderful time! 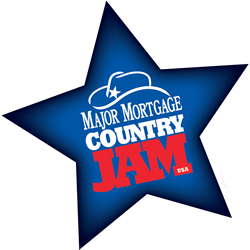 Get your tickets by purchasing early and be ready to have a great time this year and find great Deals for Grand Junction Colorado and don’t miss this years Country Jam! 81525, Camping at Country Jam, Colorado Concerts, Concert Events Colorado, Country Jam Hotel, Country Jam Lodging, Country Jam Ticket Info, Country Jam Tickets, Country Music Celebrations, Country Music Event Colorado, County Concert Colorado, Discounts Hotel Grand Junction, Events 81525, Grand Junction Colorado Events, Hotel for Country Jam, Huge Concerts in Colorado, Huge Country Concerts, Lodging near Mack CO, Mesa County Colorado Events, Outdoor Country Concert, Stay for Country Jam, Things to do in Grand Junction Colorado, Western Slope Events, Where is Mack Colorado?, Where to Camp Country Jam?, Where to stay for Country Jam?